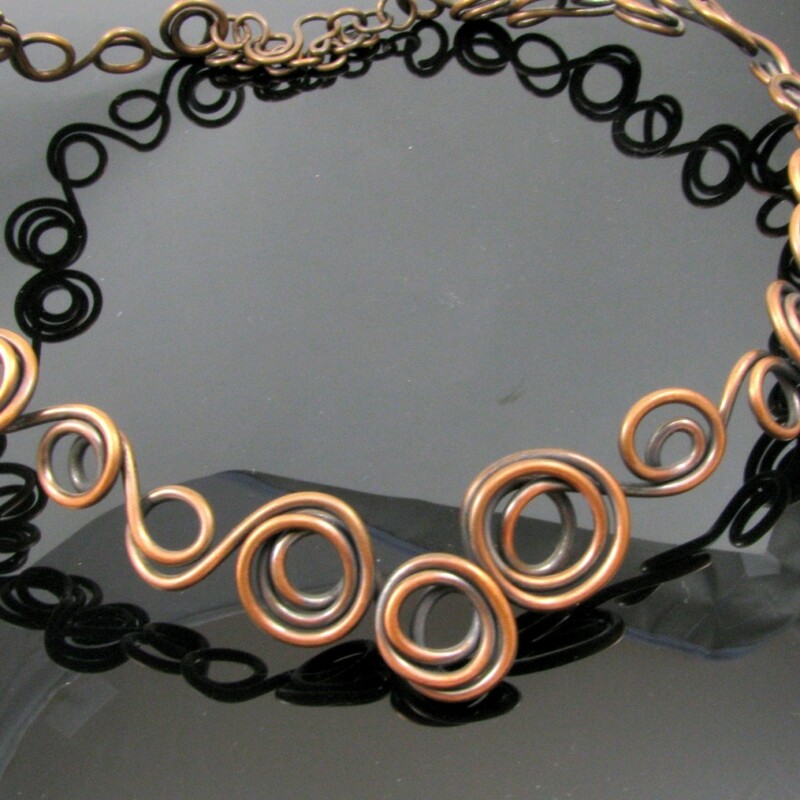 I love the feel of the metal as I work with it, transforming it into art you can wear and use. I start with an idea, then take sterling silver or solid copper wire and sheet and hand cut, form, shape, forge, fuse and polish or patina each piece as its design directs. My inspiration comes from the world around me—walks in the woods, sitting by the water and even my sons’ bubbles have driven my designs. They all fuel my creativity, helping me to translate those ideas to metal. My designs are unique. Pounding a hammer on metal on my anvil is fundamentally gratifying for me, as is developing the patinas to bring out detail. And, in a completely different way, so is the almost meditative quality of weaving rings into modern chainmaille jewelry. Creating each piece from the ground up—from making each earwire to winding and cutting my own rings for the chainmaille—means I can be sure the people that wear and use my work are getting the best quality I can provide. It all satisfies a deep need in me to create, work with my hands, and make beautiful things–a need I’ve felt all my life. Leigh Abernathy is a native Arkansan, and lives and works on the shores of Greers Ferry Lake in the foothills of the Arkansas Ozarks. Her jewelry is worn and treasured all over the world.